The best luxury retreat is one you can have any way that you’d like it to be. Casa de Luz, a beach luxury villa in Costa Rica has everything you need for your dream vacation with your family or friends. Forget about huge resorts that decide what you are going to need on your group vacation. 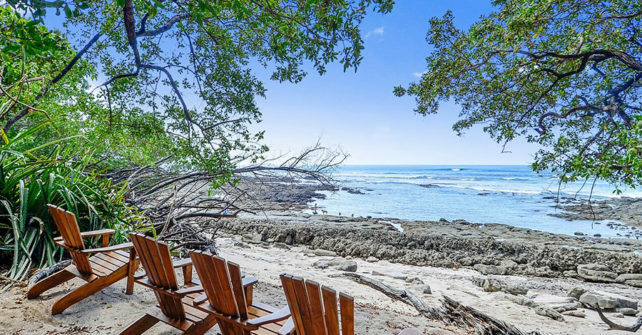 Casa de Luz allows you to design everything from meals to tours and which hammock to use on the villa’s private section of beach on the Pacific Ocean. Casa de Luz has 8 bedrooms in the villa and they all have a perfect view of the sunsets over the Pacific Ocean. Just out of the back door is the pool patio and swimming pool for you to relax and socialize or catch a few rays of sunshine. A few steps farther and you’re on the beach. This villa has a huge kitchen that has everything needed by the chef and his staff to prepare your custom menu for you and your family. You can book the chef and kitchen staff for one day or for every day of your trip. Other personnel are available, as well. The villa has a day spa area near the pool, a spot that is used by your massage therapists and salon personnel. They will rejuvenate you after long days of touring and riding the river rapids. If a big party is in your plans, there are many bartenders and musicians from which to choose to make your party the best ever. Casa de Luz has you covered and we can design your luxury retreat any way you’d like it to be. We want to make sure that your group vacation is the best retreat you’ve had.